Sass & Bide founders, Heidi Middleton and Sarah-Jane Clarke, have created a truly iconic Australian brand. Their synergy of left and right brain creativity has enabled the label to expand and thrive in a highly competitive industry. Sass & Bide has endured a radically changing retail landscape, with the spirit of the brand shining through each impressive seasonal offering. 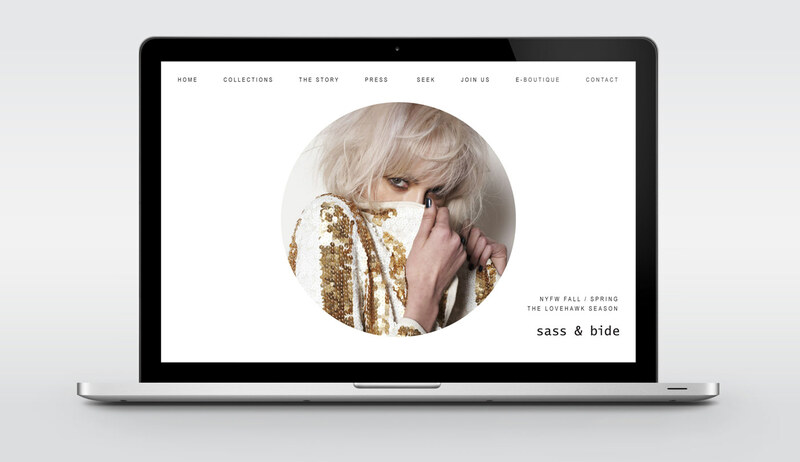 We enjoyed working with the team to transition the business into online retail, creating e-commerce websites for Sass & Bide, Sass & Bide for Lovable and Sass & Bide Eyewear. We explored opposing geometries as a means of framing campaign imagery with a suggestive sense of voyeurism. The simplicity of typography and website navigation were designed to allow each collection to take centre stage.